Irv has had a myriad of experience, representing public and private companies in a number of transactions and industries. He has represented more than two dozen different reporting companies in board meetings and transactions, which have included mergers, spin-offs, IPOs, bank financings, going-private transactions, high yield offerings, proxy contests, restructurings and 144 offerings with A/B exchanges. In addition, Irv has represented a number of private companies from the start ups through generational transitions and sales to public entities. He has been involved in transactions in a variety of industries including: gaming, software, printing, food distribution, hospitality, fast food franchises, construction equipment rental, heavy machinery, specialty chemical, and health clubs. Irv has also advised private equity funds about formation, fund raising, and investments in public securities. Irv has advised boards of directors of public and private companies about corporate governance matters and executives on compensation matters and equity participation matters. 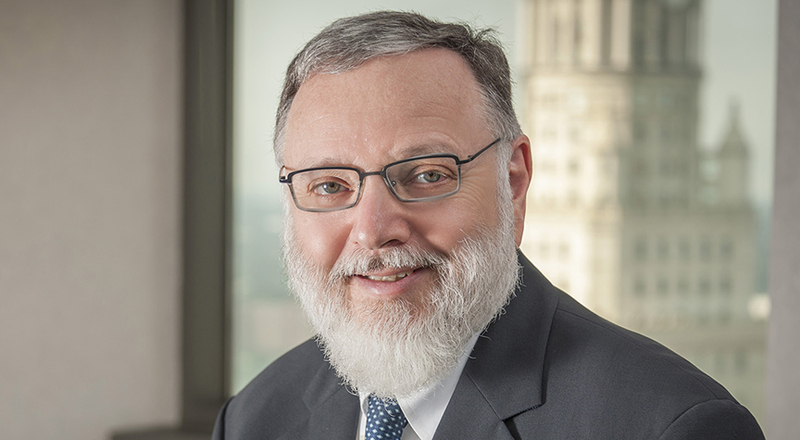 Irv, who has extensive experience in gaming law, was appointed by Ohio Attorney General Richard Cordray as Special Counsel to provide legal services for casino legislation implementation matters for the state’s Office of Budget and Management. During the assignment, he worked with various officials crafting changes to the proposed legislation that was adopted earlier this summer. He also has experience in financing casinos in Nevada, New Jersey and Mississippi, as well as experience representing clients before gaming regulators in New Jersey and Nevada. Irv has been listed in The Best Lawyers in America since 2005 in three categories: Corporate Law, Gaming Law, and Securities/Capital Markets Law. He is a member of the Ohio State and Cleveland Metropolitan Bar Associations. Irv was honored by Cleveland Jewish News as a member of its 2018 class of 18 Difference Makers.